There are several video games that have garnered considerable traffic in the last months of the 2017. We have already reported for example, the dizzying figures reached by Playerunknown's Battlegrounds, and Fortnite has also recently passed the barrier of two million active players at the same time. However, the maximum weight of December 2017 was Minecraft. In the last 31 days of the 2017, in fact, Minecraft boasted well 74 millions of active players. 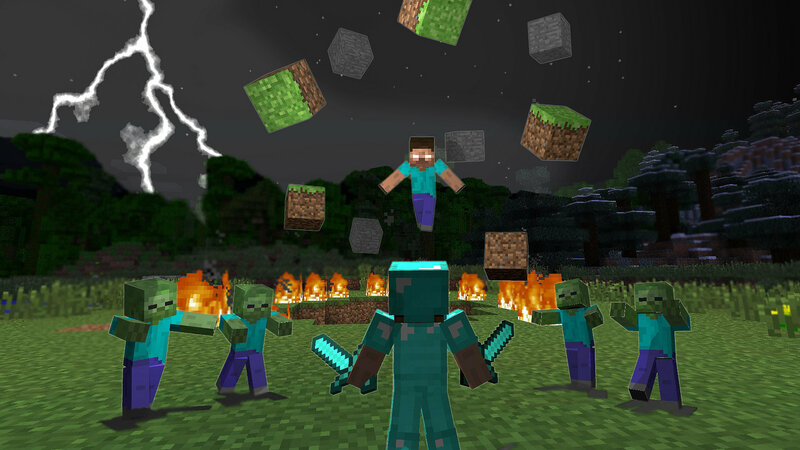 This is the highest number of players recorded on Minecraft since its debut, nine years ago, and represents more than half of the owners of the game, which has sold a total of about 144 million copies. Helen Chiang, head of the Mojang project, talked about the result to PopSugar magazine, and defined it as a demonstration of how Minecraft can not only win new players, but also manages to frequently return those who already own it. And if the 2017 has been relatively lackluster updates for Minecraft, this is it destined to change in spring, with the arrival ofUpdate Aquatic. The full interview with Helena Chiang is available for consultation here.